Stillpoint Yoga London is pleased to be hosting Joey for his first full mysore intensive in London since he moved to the north of England in 2009. 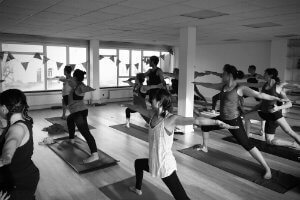 Joey is a highly respected and experienced ashtanga yoga teacher who is director of Ashtanga Yoga Leeds. He recently came back from Mysore (October 2014) having completed the third series (Sthira Baga) with Sharath Jois and he is eager to pass on the ashtanga yoga teachings. Joey came to yoga in 1998 after a mis-spent youth pursuing the circus, martial arts and physical theatre. While at Goldsmiths University studying a BA in Drama he set up and directed the Yoga Society, there doing his practice of seva (service). On graduating he began assisting Hamish Hendry at Ashtanga Yoga London and for 3 years he practised and assisted daily. During this time he spent 2-3 months every year in Mysore with Sri K Pattabhi Jois (Guruji) and Sharath. 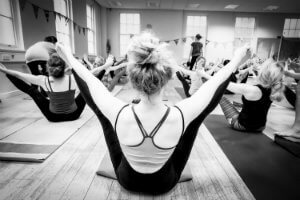 In 2004 Joey was authorised to teach the primary series by Guruji and following that taught daily Mysore classes from 2005-2008 at Triyoga in Primrose Hill, London. In January 2009 he started Ashtanga Yoga Leeds with the intention of spreading ashtanga yoga in the north of England. Joey’s intention is to bring clarity and emphasis to sound alignment principles within the ashtanga system, thereby demonstrating unity among different schools of yoga.